Sylvia collaborates with clients to achieve their energy regulation and transaction goals. A corporate attorney, Sylvia focuses her practice on electric regulation. She counsels a variety of clients in the energy industry, including transmission companies, renewable/electric power generation investors and developers, vertically integrated utilities, and commercial and industrial customers. Sylvia uses her in-depth knowledge of the energy niche to advise clients in matters involving the Federal Energy Regulatory Commission (FERC) and state utility commissions, focusing on the many issues that arise with Open Access Transmission Tariffs (OATT) and natural gas tariffs. For example, she advises clients on rate and cost allocation issues, as well as interconnection procedures in regional transmission organizations (RTOs) and independent system operators (ISOs) across the country. 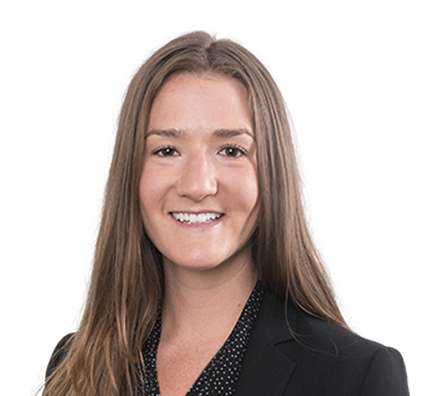 She also works with a team of attorneys to represent buyers, sellers and tax-equity investors in the drafting and negotiation of financing and acquisition documents. Before joining Husch Blackwell, Sylvia served as a legal intern at the Vermont Public Service Department and with general counsel of Vermont Energy Investment Corporation. In law school, she received the Rubin Fellowship for her work on behalf of clients who are disadvantaged and traditionally underrepresented. While a college student, Sylvia worked with a national environmental group on Capitol Hill to advocate for clean energy policy. FERC Off to a "Fast Start"
Sylvia loves to play piano and has a passion for healthy vegetarian food.